The original plan was to make some cocktail themed cupcakes but I finished work late and couldn’t be bothered to go to the supermarket to buy anything. I checked what ingredients I had and all I could make with what I had was vanilla… so that’s what I went with. Since I wasn’t making Kiri’s favourite flavour, I decided to decorate them with the colours I associate with her – black, white and red. I made the red flowers using a small flower cutter and left them to dry on a foam petal former while I iced the cupcakes. 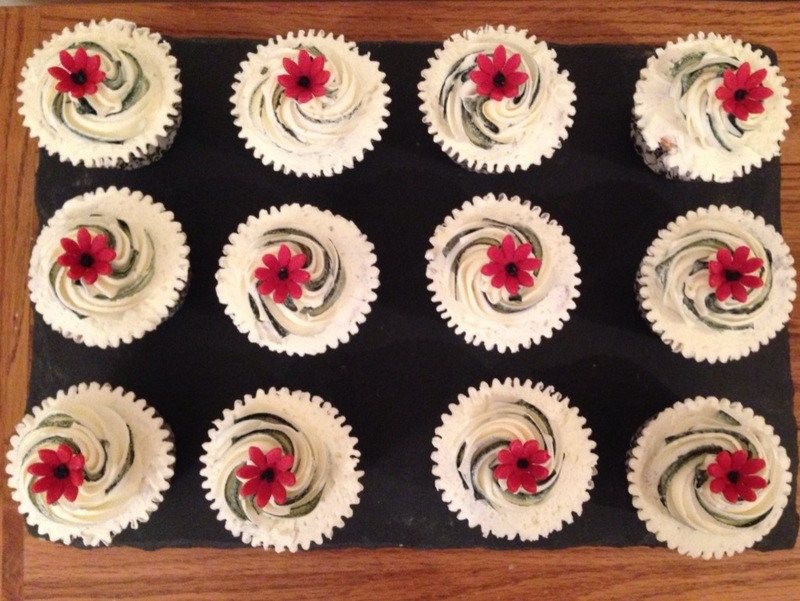 I stuck a few black sprinkles into the centre of each flower using a bit of black royal icing. 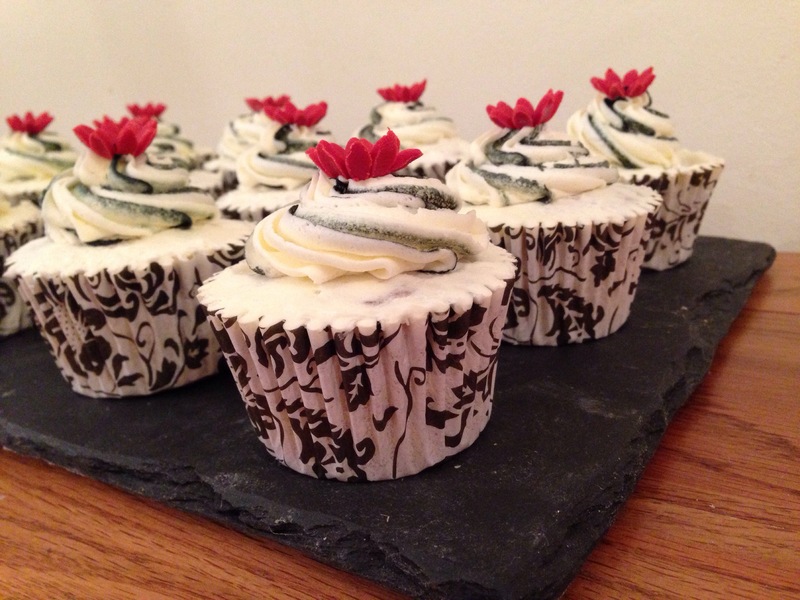 To make the effect with the icing I painted two black stripes down opposite sides of the inside of the piping bag. 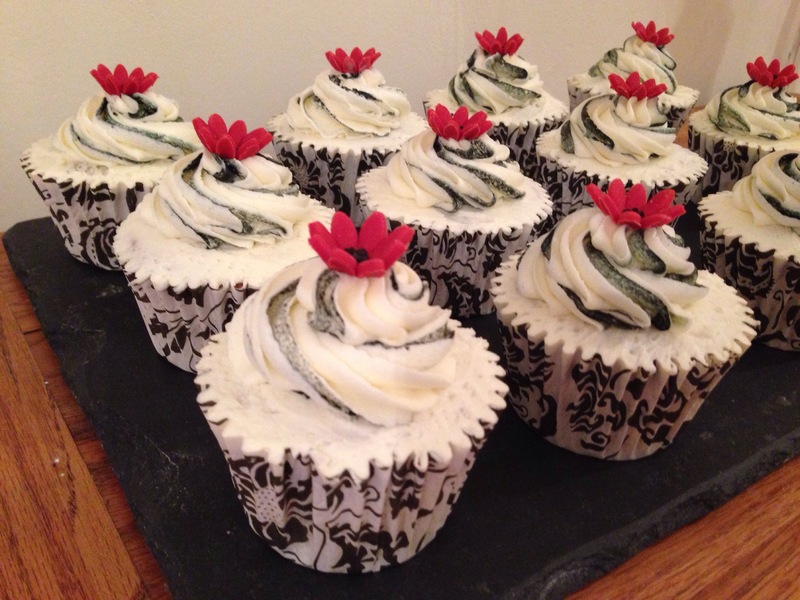 I then filled the piping bag with icing and piped swirls on top of each cupcake.